In an effort to create tools for education and promotion of modern quilting, my guild started a challenge series (of sorts) a while back that we call “Make it Modern”. Members are encouraged to take a traditional block, make it up in an 18″ quilted square, then make a second one “modern”. The goal is to explore some of the aesthetic differences that exist between modern and more traditional quilting when it comes to fabric selection, quilting, and styling of a block. 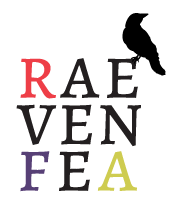 We have a collection of the blocks now that we are able to take to demonstrations and talks, as well as providing a quick programming bit at our meetings when a member presents their block pair. 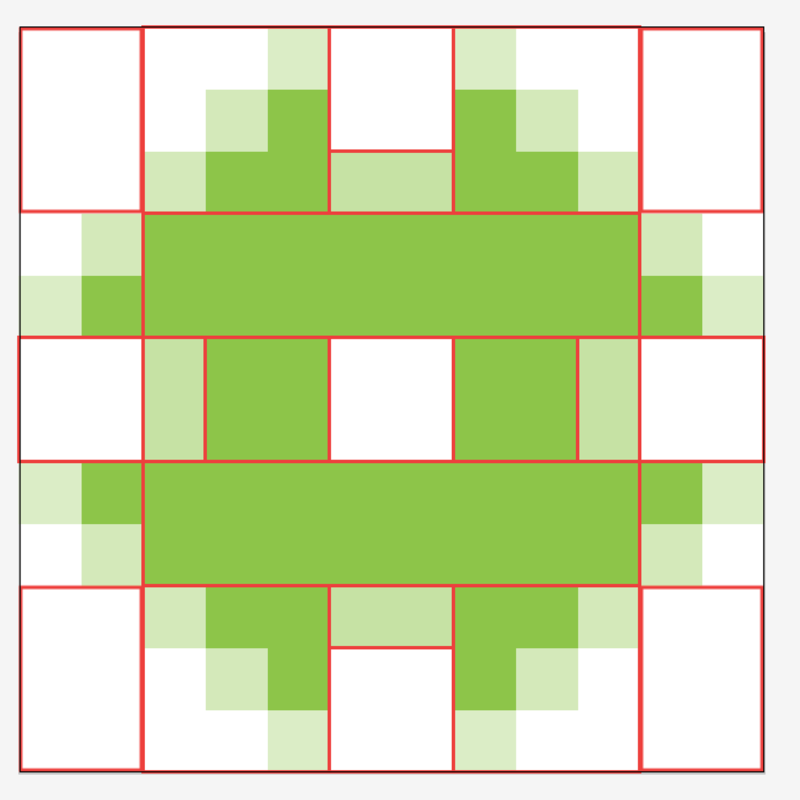 After giving and organizing a few talks for local traditional guilds about modern quilting, I noticed that we were missing a good example of pixelation, which has been a trend in modern quilting. Since I’d signed up (many months in advance) to do a Churn Dash block, I decided to play around in Illustrator to see if I could come up with something that evoked the look of the traditional block, but allowed for me to piece ‘pixels’ that weren’t too incredibly small for an 18″ mini. The traditional churn dash is straightforward—four half square triangles, a center square, and side rectangles, made from fabric I purchased early in my quilting journey. The more traditional text print is a great foil to the more modern, low-volume math print used in the other block. I stitched in the ditch to quilt it, because I didn’t feel like FMQ at the time for something more advanced. The super technical details modern details: I drew a vector churn dash, shrank it to 0.15″, rasterized it, then blew it back up to 18″. 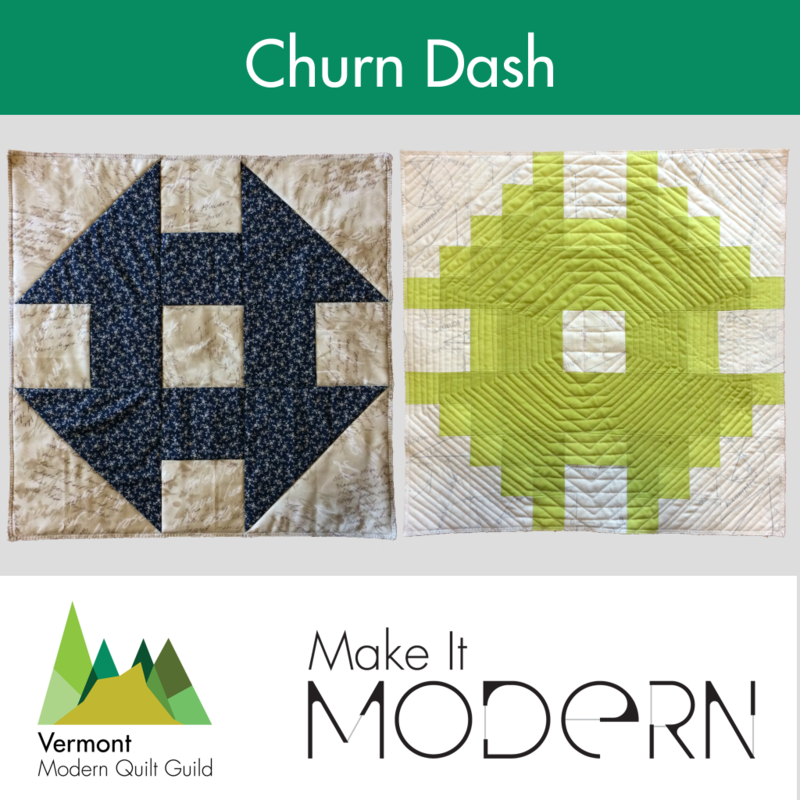 I played around with different sizes prior to rasterizing, but this was the best combination of “still looks like a churn dash if you squint” and “has big enough pieces (1.5″) that I won’t hate making it” I found. 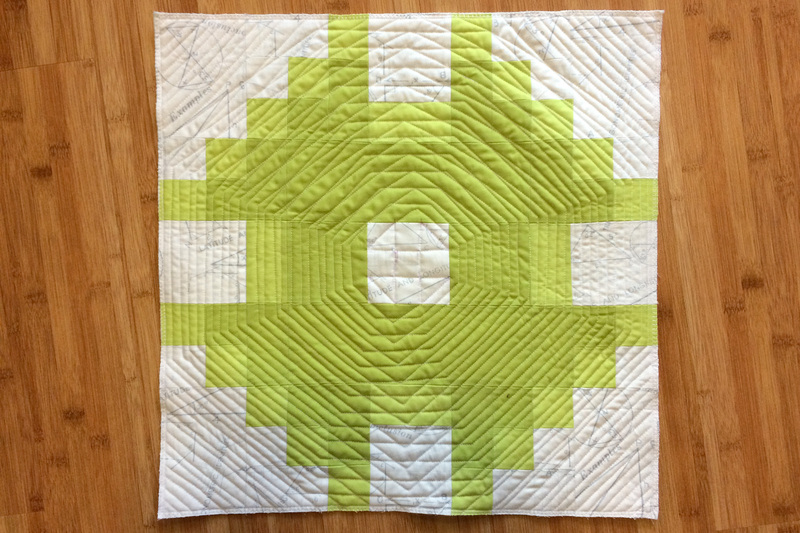 The more quilty modern details: after I had my design, I broke it up into blocks that let me piece as few 1.5″ squares together as possible (but, I was winging it, so there could be even more efficiencies I didn’t think of). I used a low-volume white math/text print from the stash as background, and two greens (Kona Peapod and Kona Limelight) that are just a little different so that you really get the pixelated blend from far away (that is, the farther away you are, the more it looks like it’s a normal (perhaps fuzzy) churn dash). 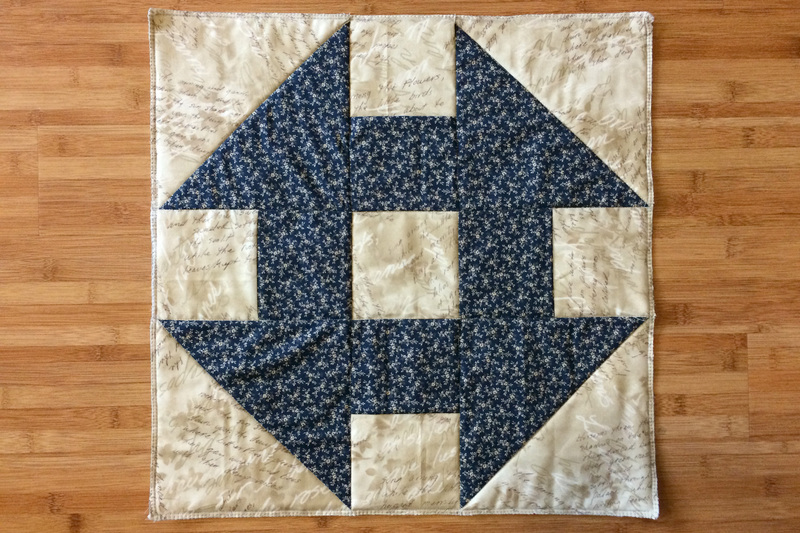 I quilted it in geometric spirals, starting with a churn dash shape as a nod to the original block. And here’s what it looks like once we take photos and drop it in a template to publish on Instagram and Facebook for the guild. 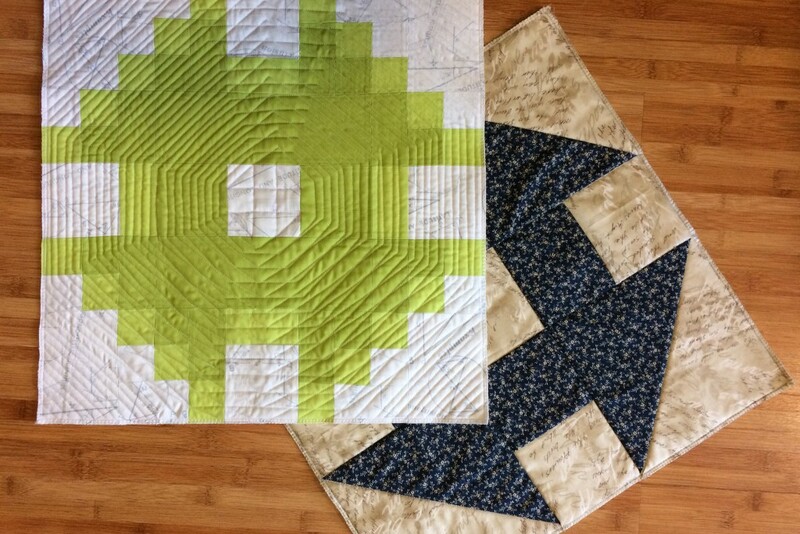 I love the way this project has encouraged me to think about the different ways modern quilting can be expressed, and it’s been amazing to see the creativity of my fellow guild members in how they approach their own make it modern blocks.